Social movements across Asia, Latin America, Oceania, and North America celebrated on November 15 the fact that their seven-year strategic campaign had successfully derailed the Trans-Pacific Partnership (TPP), a controversial trade deal widely condemned for privileging corporate profits over international public interest. Nobel Prize-winning economist Joseph Stiglitz has reiterated his opposition to the Trans Pacific Partnership (TPP), saying on August 23 that United States President Barack Obama’s push to get the trade deal passed during the upcoming lame-duck session of Congress is “outrageous” and “absolutely wrong”. The TPP is a huge proposed trade deal involving 12 Pacific Rim nations, including Australia. It encompasses 40% of the world’s GDP. It was negotiated in secret, but draft chapters published by WikiLeaks confirmed anti-TPP campaigners’ worst fears of a huge power grab by corporations. Peruvians took to the streets of the country's capital Lima in large numbers on February 25 to protest against the pro-corporate Trans-Pacific Partnership (TPP) involving 12 Pacific Rim nations. The Trans-Pacific Partnership (TPP) agreement, which involves 12 Pacific rim nations, seriously threatens indigenous land rights, as well as the natural resources they preserve, said United Nations Special Rapporteur on the Rights of Indigenous Peoples Victoria Tauli-Corpuz. In an interview with the International Work Group for Indigenous Affairs, Tauli-Corpuz said a major issue with the trade deal is “the clause of non-discrimination between a local and an international investor ... [it] grants more rights to transnational firms, often at the expense of indigenous rights”. This is the final part of a three-part feature on an exposure tour of Malaysia hosted by the Socialist Party of Malaysia (PSM), in which five Resistance: Young Socialist Alliance members participated over January 15 to 26. 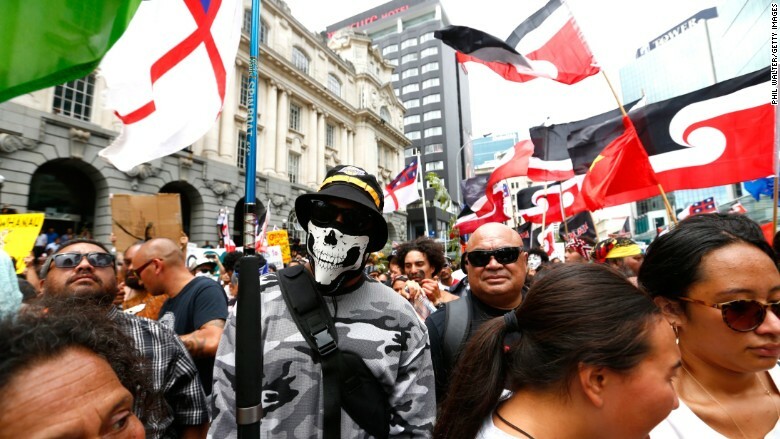 Amid angry protests in the streets, Pacific rim countries signed the controversial Trans-Pacific Partnership (TPP) trade deal on February 4 in New Zealand's capital Auckland.